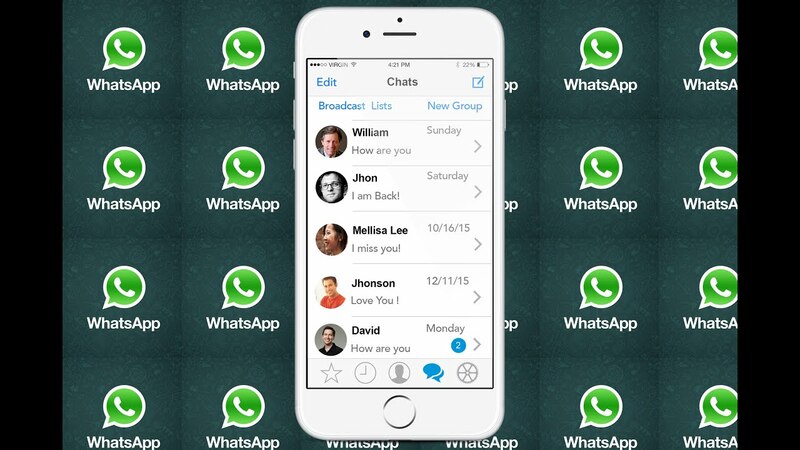 WhatsApp, owned by Facebook launched an update recently for the iOS users. The update coded 2.17.20 has come up with an amazing ability of Siri being able to read the recent WhatsApp messages that the person has received. Apart from this major attraction, some minor improvements have also come up. Following this command, Siri will read out the message and ask if you intend to hear the same message again. If you answer in yes, Siri will go ahead to read it once more. Along with the virtual assistant helping you with your messages, many other betterments have come up. For example, there are changes in the Call tab, Group information, contact information and also the User Interface has become a bit more developed. New icons have also replaced the old ones. Now, the user interface consists of 4 tabs: one for messages, another for calls, third for your status and fourth for pictures. Each tab is dedicated to its sole purpose and does not promote any other operation in that very tab. Now, your status need not essentially be verbal, you can post a GIF or photo instead. On such verge of success, WhatsApp intends to provide its users with something more. For this, they are planning to introduce the mobile payment segment in India which will support peer-to-peer payment directly. This technology is said to be based on Unified Payments Interface (UPI). If WhatsApp genuinely abides by these claims written on various websites, then it would be the first ever social networking platform to do so. If reports from The Ken Website are to be believed, then WhatsApp would be introducing peer-to-peer payment within 6 months. No source for the aforementioned information was cited on the website. Misplaced Your Phone? Now You Can Locate It Easily, Even It Is In Silent Mode! 10 Features Of iPhone 7 That Makes It A Right Away Buy!! 10 Common English Mistakes Indians Make. Its Amusing! Lets Celebrate These Women Freedom Fighters!! FeedFad is an Internet media website dedicated to expressing and exploring beautiful stories. FeedFad is the one stop platform for publishing socially shareable contents and viral news bytes to tickle the funny bone of people from almost every part of the world.